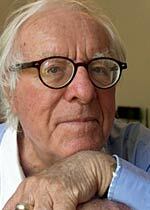 Ray Bradbury was America's foremost writer of science fiction and fantasy. Among his most popular adult books are Fahrenheit 451, The Martian Chronicles, The Illustrated Man, Dandelion Wine, and Death is a Lonely Business. In addition, he wrote several books for children, including Switch on the Night. In recognition of his stature in the world of literature and the impact he has had on so many for so many years, Bradbury was awarded the National Book Foundation's 2000 Medal for Distinguished Contribution to American Letters, and the National Medal of Arts in 2004. Bradbury was selected as a Damon Knight Memorial Grand Master by the SFWA in 1989.